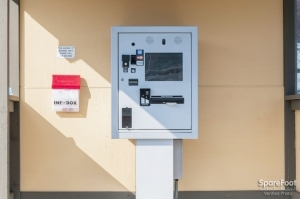 With a 24 hour kiosk in place at our facility, you can move-in, pay bills, and gain access all at a touch of a button! 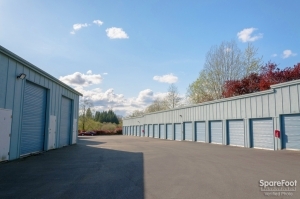 EPO Self Storage has the best rates in town and is located in a friendly business setting. Book today with peace of mind and value! Please note, Building B units are available for move-in during regular office hours of 9 AM - 5 PM Monday - Friday only. The good thing about the storage is the price. I pay $160mo. for a 10x30. Now the bad. There is absolutely no customer service nor any way of contacting anyone who works for the company. I tried the phone number in their very logo but it is disconnected. I tried the phone number for the site manager, listed in my welcome email from EPO, but it appears to be a personal phone nobody answers it only goes to voicemail. The third-party call center which handles the reservations for EPO also cannot contact them. 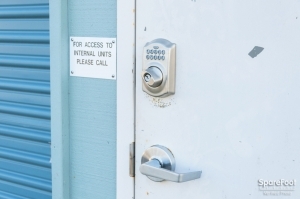 The second problem and likely the worse is that there is no way to lock the storage unit. The locking mechanism is missing from mine and appears to be missing from all of the empty units. The gate is also broken so anyone can gain entry. They were very helpful and prompt. The deposit was a little high and I dont understand the paying full price for the first month due to moving in galf way thru the month but if I only pay half mo. rent on the first I will be satified with it. 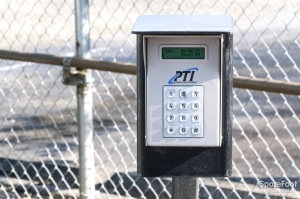 I rented a 10X20 storage, via the kiosk there last Friday, took me several days to get any answers as to why my gate code did not work since I had plans, (and help) to move stuff into the storage that weekend. Had to cancel the plans. Left many messages at the number that was at the kiosk to contact, to no avail, as well as several emails as to my plight, again, to no avail. 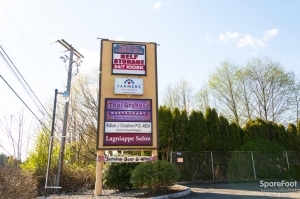 Finally, a few days later, I happened to be driving out of the driveway that supplies several other businesses, looked way up high to a sign that had a different contact number, more local. 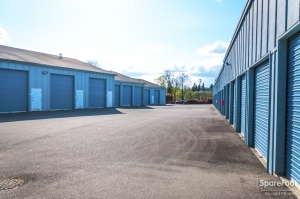 Josh answered the phone, was SUPER helpful, gave me a new entry code and stuck with me on the phone till he knew it worked for me as well as I got to actually visually verify that I have a storage unit rented. Unfortunately, I have less help come this weekend, but at least I know I can get in now. The other contact number is completely useless, nobody answers, let alone the fact that I didn't even know if I was leaving a message with an actual business. Just seemed very unbusiness-like. Thank you Josh, for helping me to keep what little sanity I had left. I was able to reserve a unit online. Check in and paying at the kiosk was easy. No problems plenty of help signing in went smooth. Used the kiosk to sign in . No problems. Made one call when having trouble with entering the building. Was my own fault for choosing the wrong door.Customer Service was very helpful. Would recommend to others. Well kept grounds n friendly staff. Friendly clean great service. Best prices in town. Would definitely recommend this facility to friends and family. I have used others before but this is by far the best. Fully automated, easy through spare foot, inexpensive, clean. When the kiosk didn't work the folks on the phone made it work for me. Great place to store 24 hour access! I really like this place, it was nice and clean when I got in and looked brand new ! Their good people, they get problems taken care of, the olny thing I didn't like is the deposit fee, I never had a storage place do this before but I know that is to ensure the place for the next customer ! Great place ! 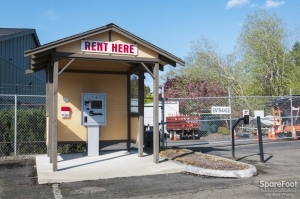 It is easy to rent and access. Not the most secure facility. Would not leave anything easy to steal there. Their price could not be beat though. Meets my needs, but with a couple issues. So as far as price goes, they were the best around for me to store my travel trailer. I used SpareFoot to make the reservation and their customer service was great! EPO customer service was good in the fact that they were easy to contact, and returned my message quickly on the only time that someone did not immediately answer the phone. There is an issue with the fact that the website clearly lists that management lives on site, but after talking with EPO they made it clear to me that no one actually is on site which was one of the things that made me pick it over another storage place. The kiosk to make payments and set up my usage is convenient, but the printer in it was broken and it does not sync up with the website to allow you to take advantage of the discount for prepaying for 6 months. I got all my issues solved immediately. 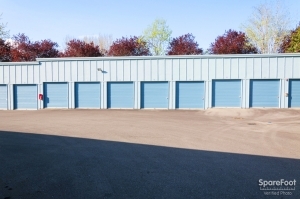 Although there is no one on site, it is a good value, the units are HUGE and the customer service is awesome. The day after moving in, our unit as well as 10-12 others were broken into. 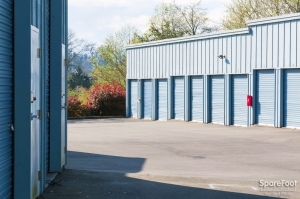 We understand that that is not the fault of the storage facility, however, the handling of this had been very poor, over a week has passed and our unit still has not been secured and we have not heard from the facility manager except to give us the new for code. We have driven down three times and are unable to put anything else into the unit. Our unit is the only one not secured in our row. Also our front gate code still does not work. Liked to see the barb-wire perimeter fence and cameras! 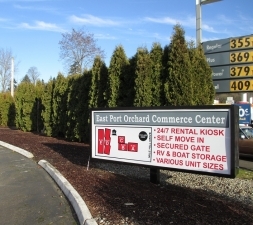 Storage at Port Orchard EPO Self Storage. Josh & Eric in Kirkland were very helpful getting us set up on the self-service kiosk. We like the 24-hour access. We "moved in" to parking space P5. My only concern is that the inside storage renters on our row could inadvertently back in to our RV with the room provided. We placed 3 orange safety cones around our space. Did not have my reservation. did not know what size units were available. I had to hunt through the facility to find a unit and found a bum sleeping in one of the halls. I had to settle for 2smaller units so I could empty my truck. Nor very satisfied. I'm happy with this facility. They offer 24 hr access including check-ins and payments which fits my lifestyle perfectly! Management could be reached by phone to help almost immediately when we couldn't get our code to work. Very nice and helpful. One of the best places I've used. 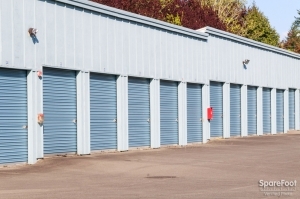 While SpareFoot customer service was excellent, I was disappointed with EPO Self Storage. I arrived at the gate and saw that there was a sign with an office location and a phone number on it. I went to the office and there was a gentleman who told me EPO had moved out about a year ago. I came back to the gate and called the number on the sign. I ended up speaking with a man who was very eager to hand me off to another representative and did not want to verify over the phone that I was who I said I was. I called the man who he referred me to and that man said he was limited in his knowledge (although he was nice) and was going to refer me back to the first man. After about an hour and fifteen minutes of waiting and making failed attempts at phone calls, I decided to call SpareFoot. The SpareFoot representative was extremely kind and empathetic. He managed to get a hold of the first man I contacted and get the ball rolling. When I spoke to that man the second time he was extremely kind and apologetic. A complete turnaround from the man he was before. I managed to move in that afternoon and was pleased with the security and cleanliness of the building. All I would change is the customer service for EPO, but SpareFoot was great! They were very helpful to us since we were out of state when we first got in contact with them.